The Wiggle Wart has just gotten better. Featuring the same body profile and action of the Original Wiggle Wart with a cosmetic upgrade the MadFlash series offers detail that will start a frenzy. 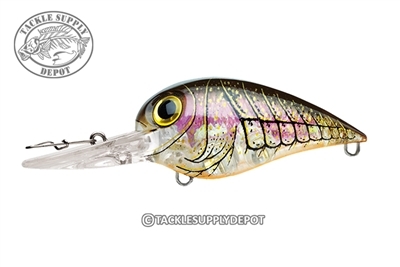 The MadFlash Wiggle Warts feature external scale patterns, holographic eyes, holographic inserts and paint colors which put off more flash that draws attention to anything swimming. Utilizing UV Bright and traditional color finishes the MadFlash Wiggle Warts look like natural baitfish and not just another lure. When a one-two punch is needed rig up a MadFlash Wiggle Wart to compensate the Original Wiggle Wart and better target what the fish are feeding on. Always think like a fish, no matter how weird it gets.